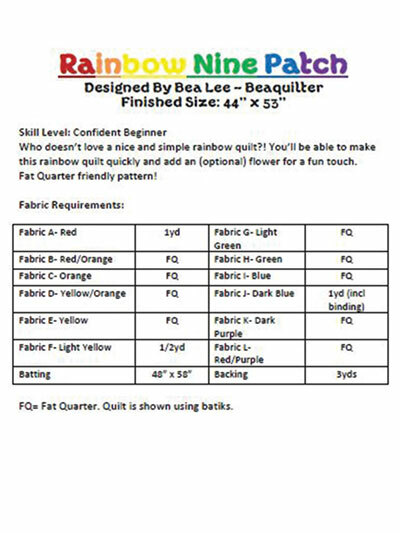 Who doesn't love a nice and simple rainbow quilt? 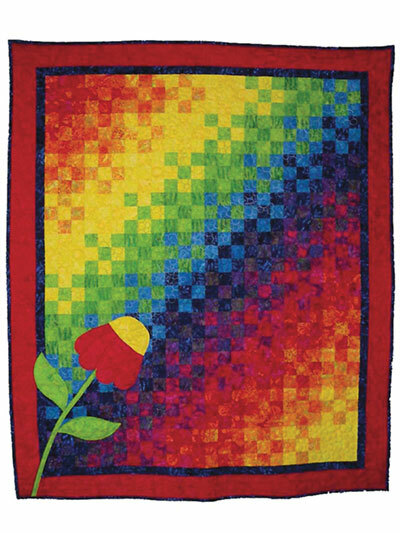 You'll be able to make this rainbow quilt quickly and add an optional flower for a fun touch. Finished size: 44" x 53".